The leading law firm of Alonso Krangle LLP is investigating potential lawsuits on behalf of spinal cord injury victims. Each year, in the U.S. alone, over 11,000 people suffer a spinal cord injury that causes permanent and severe chronic pain, paralysis and even death. Spinal cord injuries are almost always life-changing, leaving victims in need of extensive medical care and rehabilitation. 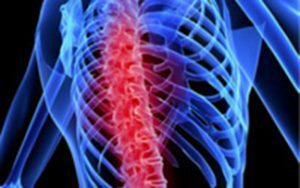 Many times, a catastrophic spinal cord injury is the result of a motor vehicle accident or some other negligent act on the part of another party. If you or someone you love suffered a spinal cord injury due to another’s reckless or careless act, you may be able to file a spinal cord injury lawsuit to obtain compensation for your medical bills, pain and suffering, and other damages from those responsible. The spinal cord injury lawyers at Alonso Krangle LLP understand the difficult road accident victims and their families face as they struggle to recover. If you or a loved one sustained a serious spinal cord injury in a negligent accident, your family deserves compensation from the person or persons responsible. Filing a spinal cord injury lawsuit could help you obtain the funds you need to pay for current and future medical needs, rehabilitation services, and even improvements to your home that will make your life easier. The spinal cord injury lawyers at Alonso Krangle LLP are currently offering free lawsuit consultations to accident victims in all 50 states. To learn more about the legal options available to you, please contact the spinal cord injury lawyers at Alonso Krangle LLP today. Paraplegia: Paralysis of the lower half of the body. Anterior Spinal Cord Syndrome: Compression of the anterior spinal artery (the artery that runs along the front of the spinal cord). Victims of this spinal cord injury may have some crude sensations, but movement and more detailed sensation are lost. Central Cord Syndrome: Trauma to the large nerve fibers that carry information directly from the cerebral cortex to the spinal cord. This may result in paralysis and/or loss of fine control of movements in the arms and hands. Sensory loss below the spinal cord lesion and loss of bladder control are possible. Brown-Sequard Syndrome: A neck or back injury, such as a puncture wound, that occurs on one side of the spinal cord. Victims will lose some sensation and movement below the level of injury on the injured side. The body opposite the injury will lose pain and temperature sensation. Spinal Shock: This occurs when there is a complete loss of motor and sensory function below the level of a spinal lesion. While the loss of complete function is not permanent, victims of spinal shock may experience a permanent incomplete spinal cord injury. Motor Vehicle Accidents: The leading cause of spinal cord injuries, and account for more than 40 percent of new spinal cord injuries each year. Acts of Violence: Gunshots, knife wounds and other violent encounters account for roughly 15 percent of the spinal cord injuries that occur each year. Sports and Recreation Injuries: Impact sports and diving in shallow water cause about 8 percent of the spinal cord injuries reported every year. Alcohol: Alcohol use is a factor in about 1 out of every 4 spinal cord injuries. If you or someone you love had your life changed forever by a spinal cord injury that was caused by another’s negligence, you may be eligible to file a lawsuit against those responsible. To learn more about the legal options available to you, please contact the spinal cord injury lawyers at Alonso Krangle LLP by filling out our online form or call us.